You’re really going to hope your upgrade clears on United’s refreshed 777-200s. The carrier recently relaunched its first updated 767, and now it’ll soon begin retrofitting its older 777s, installing the new 1-2-1 Polaris business-class seats and adding an extra seat in each row in economy, just as United’s done with its domestic configuration. That means anyone not traveling up front will end up in a 17-inch-wide coach seat with an ultra-dense arrangement that’s even being adopted by international carriers known for offering excellent service in economy, such as Cathay Pacific and Qatar. 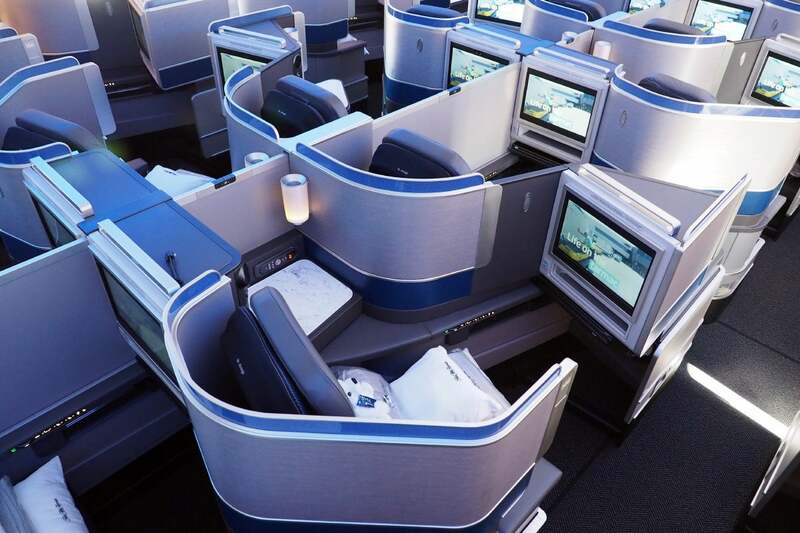 As reported by FlightGlobal and confirmed by the airline, United’s updated 777-200s will offer 50 Polaris business-class seats and 242 in economy — that’s 25 more seats than you’ll find on the airline’s current two-cabin planes. United’s Polaris seats represent a huge step up from what’s currently installed on the 777-200. Based on the seat map United sent to flight attendants, below, it appears that the 777-200’s business-class arrangement will vary from that of the 777-300ER, with 32 seats in the forward business cabin, compared to 28 on the -300ER, and just 18 in the much smaller rear cabin, compared to 32 on the larger 777. At the moment, United has two 777-200s undergoing maintenance in China — N782UA has been in Xiamen since September 15, while N78002 arrived in Hong Kong just last week. It’s not clear whether or not these planes are currently getting retrofitted, but assuming they are, it’s possible that we’ll see the new configuration enter service by the end of this year, in line with United’s expected “winter” re-entry. Once the updated planes do begin flying within the US and beyond, this is the version to pick if you’re able to confirm a seat in business class. If you’re flying coach, however, I’d suggest opting for the older 3-3-3 configuration, to avoid the super-dense 3-4-3 seating on this retrofit plane. Have you flown in 3-4-3 economy on a 777?